OLD PARKED CARS. : 1977 Toyota Hilux Long Bed. 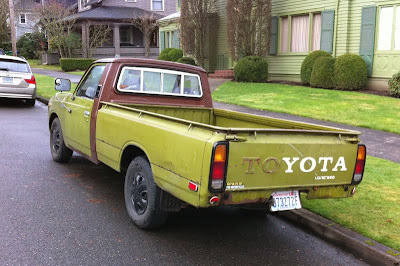 1977 Toyota Hilux Long Bed. 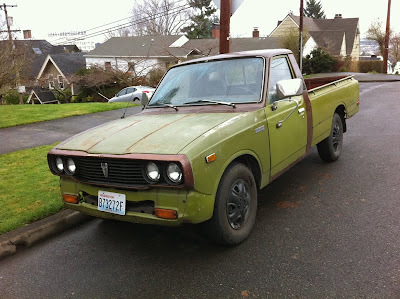 there's no pickup i'd choose over a '70s hilux, and i usually think every car looks better without bumpers, but i'm not so sure here. those are plastic spray-painted hubcaps, right? 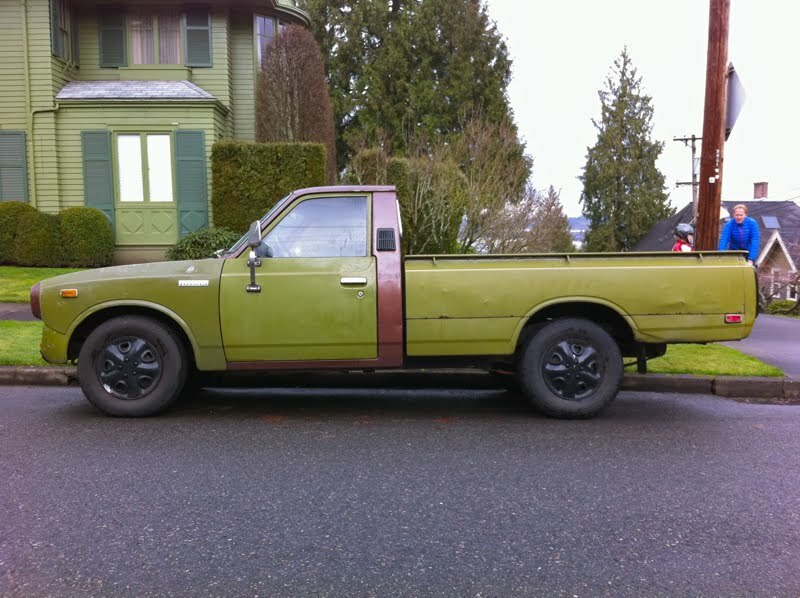 is the brown & green a custom paint job or just patchwork body panels from a donor truck? mixed feelings on this post, frankly. 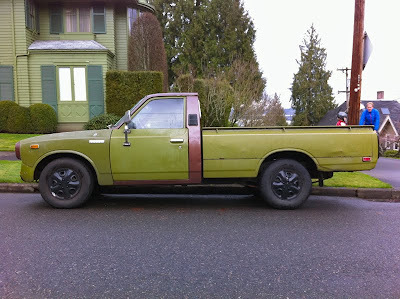 I felt like the color scheme emerged from other donor trucks, and I just really like how obvious that this car has been pieced together from a lot of different trucks. I wouldn't be one bit embarrassed to drive this, but I would feel a lot more confident with bumpers on it. Let me know what you think when you see it on the street, I bet you'll walk away smiling overall. Those side mirrors are ridiculous. I don't know whether to appreciate them as being comically oversized or go find some tiny UJM bullet mirrors. PAINT that thing, ALREADY!! That color is hideous. It looks like it belongs on the set of M*A*S*H.